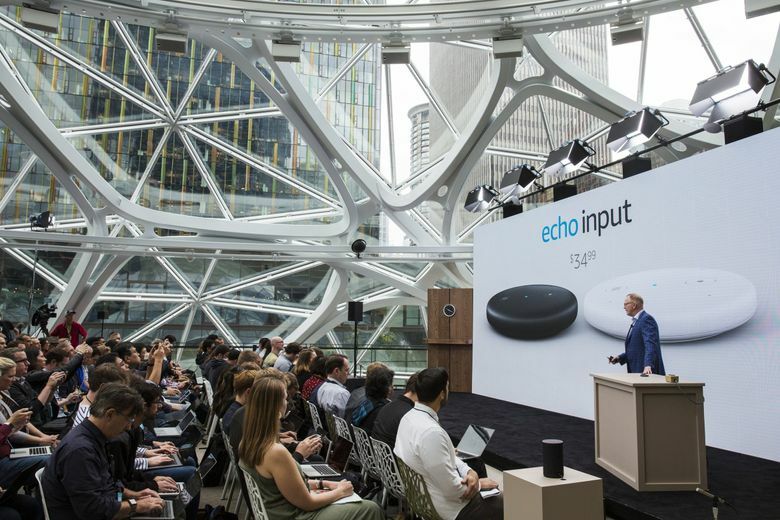 Kevin Deakin and colleagues at his online trivia startup had just gotten their hands on an Echo smart speaker that Amazon was passing out to developers in 2016. They made it less than a block from the company’s Seattle headquarters before coming to a decision. Deakin and his co-workers at the U.K.’s Musicplode Media created a version of their music trivia game for Alexa, chasing the opportunity to hitch a ride on what they correctly predicted would be one of the hottest trends in consumer technology. Like many developers, they found working with voice software brought its own set of challenges and didn’t yield an immediate payoff. Echo-branded smart speakers have attracted millions of fans with their ability to play music and respond to queries spoken from across the room. But almost four years after inviting outside developers to write apps for Alexa, Amazon’s voice system has yet to offer a transformative new experience. Surveys show most people use their smart speakers to listen to tunes or make relatively simple requests — “Alexa, set a timer for 30 minutes” — while more complicated tasks prompt them to give up and reach for their smartphone. Developers had less trouble creating hits for previous generations of technology. Think Angry Birds or Pokémon Go on the iPhone, or, decades ago, spreadsheets on the first Windows computers. Amazon counts some 80,000 “skills” — its name for apps — in its marketplace. It seems impressive, but at this point in their development, Apple’s App Store and the Google Play Store each boasted more than 550,000 applications and minted fortunes for many successful developers. Amazon, which declined to comment, created a novel new technology with Alexa. But it poses problems for developers, who encounter a steep learning curve in building voice apps. Swapping visual cues for verbal ones forces them to unlearn old habits from building software for smartphones and the web. Even after creating an app, there’s no guarantee people will find it. While smartphone users can quickly eyeball a list of available apps on a screen, multiple options get lost easily on a voice-based service. Amazon has gotten creative to get people to try new things, emailing recommendations to Echo owners, programming a range of prompts users can say aloud to try new things, and referring users to the companion Alexa smartphone app. One image on Amazon’s screen-bearing Echo Show model seems to playfully acknowledge that challenge, showing a cartoon image of a person fishing overlaid with text suggesting people ask Alexa what skills are available. Amazon boasted last year that it has some 10,000 employees working on Alexa software and related devices. Chief Executive Jeff Bezos, who has delegated most day-to-day operations to lieutenants, remains personally involved with Alexa, according to one former employee who stays in touch with colleagues on the project. Bezos has even reviewed some skills before their publication on the marketplace. But that hasn’t helped Amazon build a more dynamic app marketplace. Google and Apple, which trail Amazon in smart speaker sales, also lack a unique, voice-centric hit. Many people have given up even looking for one: Fully half of smart speaker users says they don’t seek out applications, according to a survey by voice software news site Voicebot and Voicify, which makes developer tools. For now, Amazon is doing plenty of investing, building out guides and tools for developers, and offering stipends to the people behind the most successful apps. One is Nick Schwab, a developer at Ford Motor who started tinkering with Alexa after purchasing a cylindrical Echo speaker. His first software program, which gathered and read the offerings from daily deals websites, didn’t take off. Later experiments were more successful. He built an app called Opening Bell, the first of its kind on Alexa, that let people ask for stock prices by company name. A couple of months later, eager to drown out a noisy neighbor, he built an Alexa skill that turned his hockey puck-shaped Echo Dot into a white noise machine. That was a hit, and he quickly expanded the range of sounds he offered customers. Last year, Amazon gave developers their first tools to make their own money selling Alexa skills. Schwab took advantage, charging a $1.99 monthly subscription for access to different sounds. Amazon takes a 30 percent cut on such sales, the same rate Google and Apple charge on their smartphone app stores. Since Schwab’s work isn’t self-sustaining yet, Amazon also sends him monthly checks. Schwab declined to say how much those direct payments are but said that they amount to a tidy bonus. The cash helped him pay for his dream car: a Tesla Model 3. It’s unclear how many people receive such payments — which, developers say, top out at $5,000 per month for each skill — or how much the company has paid out in total. The payments, part of a program called Alexa Developer Rewards, are “meant to be a launchpad, to help boost the ecosystem until developers have the ability to start businesses that are really sustainable,” Schwab says. Amazon says four out of five Alexa users have tried a skill developed by outsiders. Dave Limp, the senior vice president who oversees the Alexa and devices group, said last year that music, for many, was the killer app. So-called smart home skills that let people use Alexa voice commands to control home appliances have also emerged as a popular use for the software. Many of those functions were built by Amazon itself, or are modified versions of software other large companies, like Spotify or streaming video providers, had already created. Many of the developers who have been successful with Alexa so far are like Schwab, working on their own or in small shops. Popular apps tend to be organized around a single, relatively simple theme, like Schwab’s Sleep Sounds, trivia (Question of the Day), or productivity (a skill called Chompers tells jokes and facts to keep kids from losing focus while brushing their teeth). Marketers and technology companies are keeping a close eye on Alexa, but many haven’t built anything on the platform. Holding them back, people who advise those companies say, is a lack of expertise with voice recognition technology and the uncertain prospect of making money on the platform amid a prohibition on most advertising on Alexa. There’s also the essential question of what tasks people would rather complete with their voice than another device using their eyes and fingers. Musicplode’s game, Beat the Intro, hasn’t had a problem finding a large base of users, in part because of a close relationship with Amazon, which has promoted Musicplode’s work at the launch of new products and in best-of lists. The game challenges users to identify a song title and artist as quickly as possible after it starts playing. Last August, Beat the Intro started asking users who wanted more than 30 minutes of gameplay to opt into a paid subscription service. While early returns are promising, Deakin says, they aren’t yet sufficient to cover the cost of licensing its music catalog and streaming the songs to users.